Bold innovations in air and fluid filtration across major industry sectors will command attention at the 27th Filtration® 2018 International Conference & Exposition this fall in Philadelphia, PA October 2-4 at the Pennsylvania Convention Center. Professionals from such industry sectors as transportation, medical, energy, life science, commercial, nuclear, aerospace, and indoor air quality will find new sales and solution opportunities at this year’s event. Filtration® 2018 is expected to attract more than 1,400 participants to advance their interests in filtration. Registration is open on the Filtration® 2018 website, www.filtration2018.com. The newly launched website provides a preliminary product preview of the exposition’s dynamic combination of new products including: meltblown systems, membrane surface technologies, ultrasonic filter pleating equipment, dust collection systems for industrial applications, gas turbine filters, efficient self-foaming filter adhesive and new filter media test rigs in accordance with the ISO 16890 method. 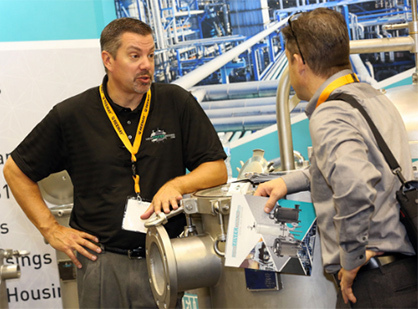 The networking, top speakers, education and training will deliver strong value for leading suppliers and customers of filtration media and components who exhibit and attend Filtration 2018. Co-located with Filtration® 2018, the highly acclaimed, one-and-a half day Filter Media Training Course provides a unique educational opportunity for professionals wanting to learn more about the development, testing, and applications in filtration. The course to be taught by Behnam Pourdeyhimi, Ph.D., Associate Dean for Industry Research, and Executive Director of The Nonwovens Institute starts Tuesday, October 2 and ends Wednesday, October 3 immediately prior to the exposition opening. Complete event information can be viewed at the Filtration® 2018 website, http://www.filtration2018.com ; including a preview of new products, training and sponsorship opportunities, previous attendees, exhibitor listings, video media, and online registration.